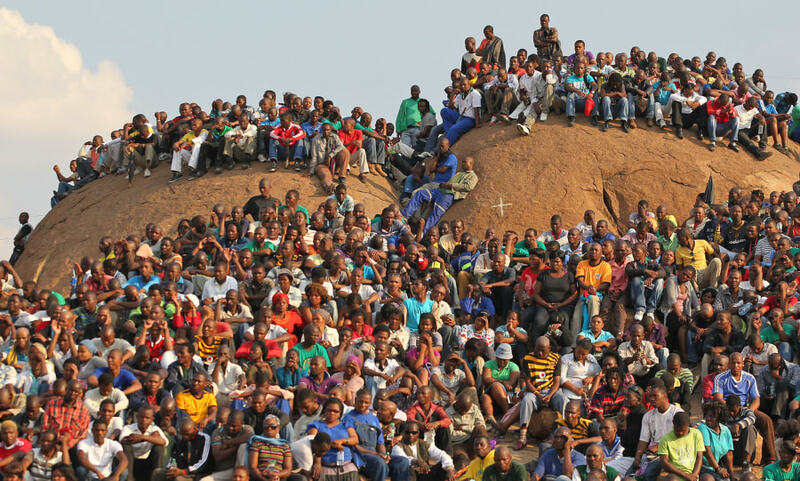 Mourners at a memorial service at the Lonmin Platinum Mine near Rustenburg, South Africa, Aug. 23, crowd onto the "Hill of Horror," near the site where 34 protesting mine workers were killed last week when police opened fire. 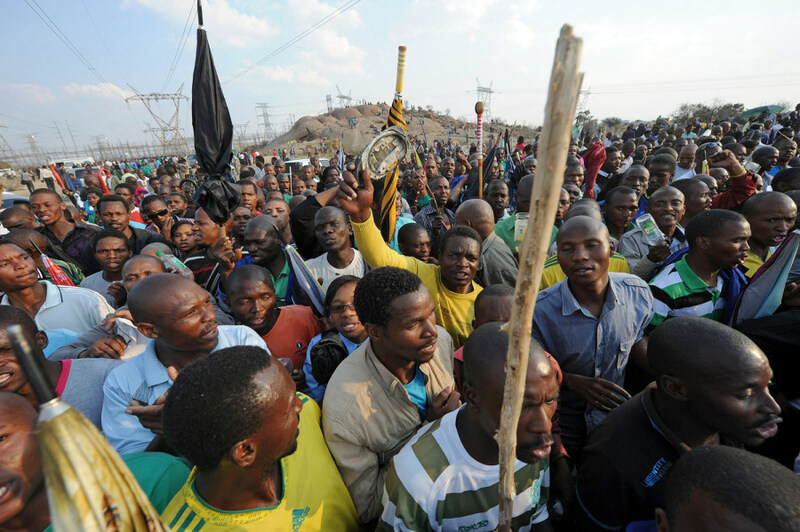 Mourners at the memorial service at the Maikana platinum mine. Miners during a memorial service for miners killed during clashes last week. 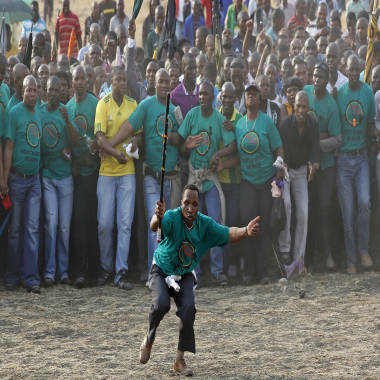 Reuters reports: South Africans held a memorial service on Thursday at a mine where police shot dead 34 strikers, bloodshed that revived memories of apartheid-era violence and laid bare workers' anger over enduring inequalities since the end of white rule. Some 500 people crammed into a marquee pitched at the platinum mine, near what has been dubbed the "Hill of Horror" where police opened fire on striking miners in the deadliest security incident since apartheid ended in 1994.